The logical first step in spreading the word about your business is to compile a list of all your contacts and those of everyone who works with you. Then, blast out an announcement urging them to join your fanbase. The stronger and more professional that blast is, the better the response will be. Social media groups are communities of people who share a common interest. Finding social media groups that are populated by people who would be interested in your products and services is a science that needs to be synchronized with your brand’s marketing plan. A great way to engage fans and increase their number is to post offers and contests that require people to interact with you. It’s optimal to get them to “like” your page, then go to your website and sign up with their personal information. listed here, this needs to be done as part of a coordinated marketing strategy. you will create continuous engagement, as well as elevating your online reputation. It’s also a good idea to encourage feedback and product reviews. strategy can be a great shortcut to establishing new fans and Internet visibility. It’s important to keep social media pages fresh and lively by posting frequent updates. These don’t have to be advertisements, in fact, it’s often more effective to post blog-style snippets of information relating to your field or industry. It’s important to add that this needs to be quality content (images, text and videos), and not mindless filler (which is a common mistake made by some companies). can be an invaluable asset for any business, small or large. 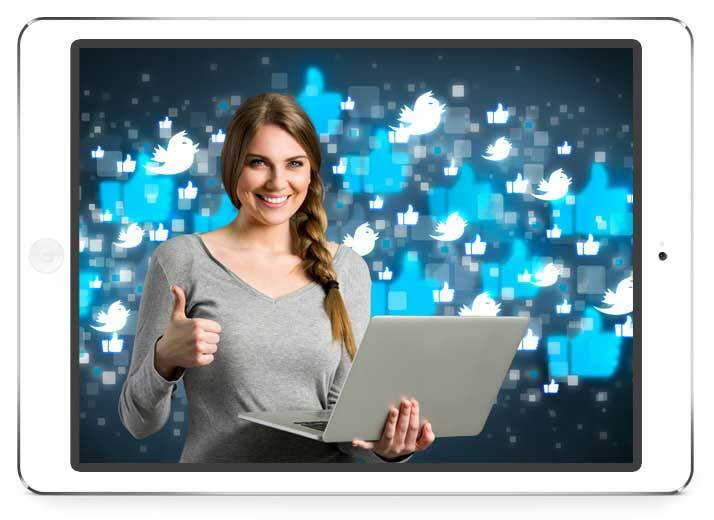 Our social media marketing experts are familiar with all of the above tools and more. We can execute a social media campaign for your business that will engage your fans and followers and increase their numbers in record time.